Lucy is a professional musician, based in the beautiful city of Cambridge, UK. She divides her time between performing, recording, composing, teaching and worship-leading. 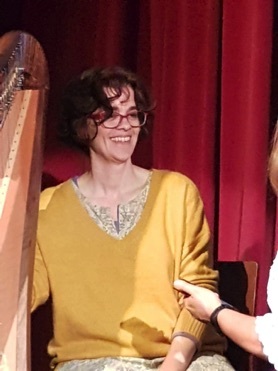 She currently directs the choir at St Andrew's Church, Cherry Hinton; and is the Chaplaincy Harpist at Addenbrookes Hospital. Lucy leads worship in many church and ministry settings. This year she will again be playing in the Prayer Garden at David's Tent. Lucy has released five solo albums: May the rain fall softly (2008), Penny on the water (2010), Somewhere between the words (2016) and Songs for Christmas (2017). 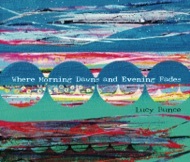 Her fifth, Where morning dawns and evening fades was released at Easter 2019. This is a live album of mostly original worship songs, available on iTunes or here. You can also download leadsheets of Lucy's worship songs.